It was on the morning of Thursday 7th July, 2005 when, during the rush hour, a terrorist gang detonated four bombs in London, killing 56, including themselves, and leaving over 780 people injured. Even, after all this time, it is unclear what these misguided young men thought they would achieve. They aimed to use the London Underground not only as a means of dispersal, with bombers going east, west, north, and south from King's Cross, but also as a means of containment, so that their deadly blasts would cause maximum human suffering. Let's look at each attack, as it happened that day. The Circle Line train to Aldgate stopped at the crossing with the Hammersmith & City tracks. The Circle Line train left King's Cross, where 22 year old bomber, Shehzad Tanweer, had boarded the second carriage, then travelled east, passing through Liverpool Street Station at 0851. Seconds later, as it entered the crossover points where the train would move from the left track across other lines to enter Platform 1 of Aldgate Station to its right, Tanweer detonated his rucksack explosive. Because the train was travelling slowly, the driver was able to stop within a short distance. The sub-surface tunnel at this point is wide and can be well lit, so helping safe evacuation after the blast. 22 year old Shehzad Tanweer. The bomb ripped open a set of doors on the right hand side of the carriage, killing eight, including Tanweer, and injuring 171. One of the injured, Philip Duckworth, was blinded in one eye by a fragment of Tanweer's tibia. Bomber Tanweer, born in Bradford, had travelled by car, along with Mohammad Sidique Khan and Hasib Hussain, from his home in Leeds to Luton where they met with Germaine Lindsay to go onwards by train to King's Cross. 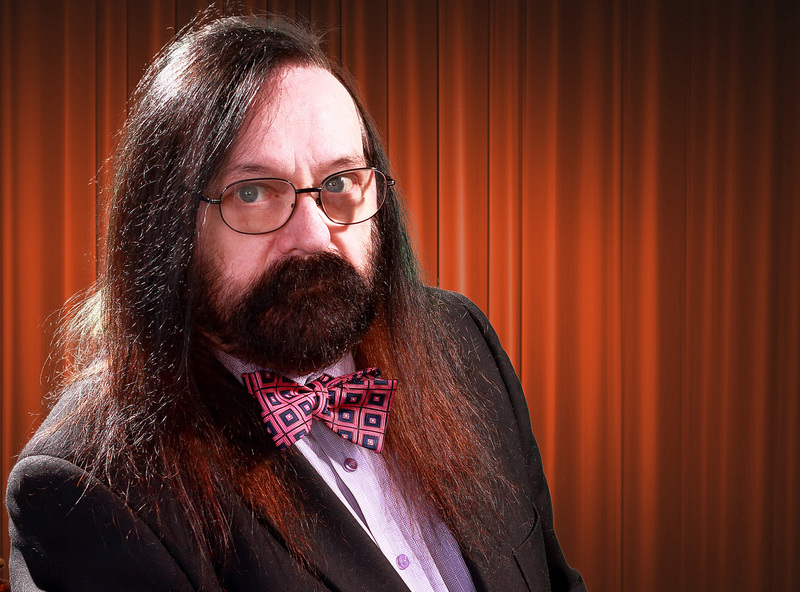 He was a quiet person, living with his parents, who worked in a local chip shop. He had been to Pakistan the previous year to attend a radical so called Islam school near Lahore as well as meeting with Osama Nazir, a suspected member of the banned Jaish-e-Mohammed movement, who has since been arrested for his role in a grenade attack on a church in Islamabad that killed five. After the bombing, police discovered more explosives in his car. Some were fashioned as deadly nail bombs. A few seconds after the Aldgate explosion, a bomb ripped apart a Circle Line train heading west between Edgware Road and Paddington. This train had also left King's Cross with a suicide bomber aboard. 30 year old Mohammad Sidique Khan. 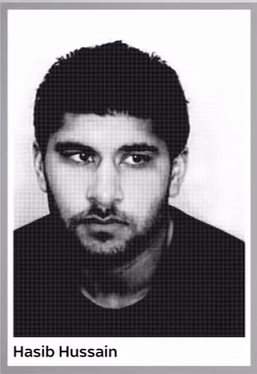 Leader of the gang, 30 year old Mohammad Sidique Khan, born and living in Leeds with his wife and child, worked as a teaching assistant in a primary school. Colleagues said he was quiet, thoughtful, without any forceful religious or political views. He lead a double life, travelling several times to Pakistan and Israel for military and bomb-making training. American spies had tapped Khan's phone and e-mail messages to known so called Islamic radicals, leading to his being banned from entering the country. He had openly said that he wanted to blow up synagogues in the USA. After boarding the second carriage of the westbound Circle Line train he counted the seconds to detonation at 0852. He planned that all four bombs would fire at the same time. 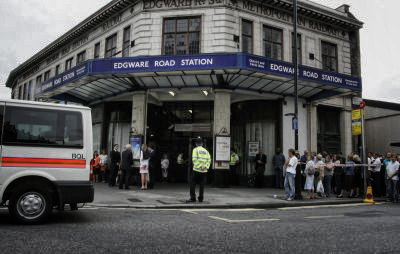 As the train left Edgware Road Station he triggered the explosion. Not only did this cause death and destruction on this train, it damaged another one heading the other way in the sub-surface tunnel. Those who died at Edgware Road. 7 people died, including Khan, with 163 injured. Daniel Biddle lives on with a 50p coin jammed into his femur. He had other shrapnel, including his house keys, removed by surgeons later on. In the aftermath, many other travellers, some with serious injuries themselves, tended to the dying and hurt until help arrived. 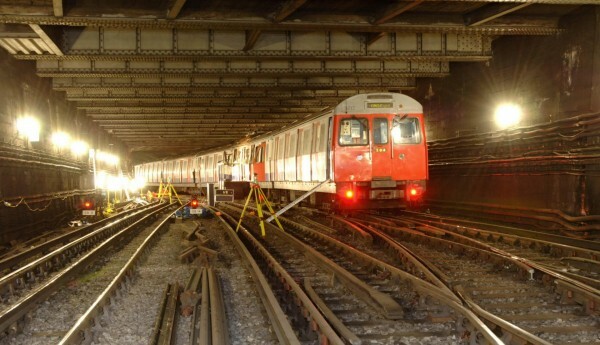 Piccadilly Line trains travel in smaller bore single track tunnels, deep underground. This morning, the southbound service left King's Cross at 0855 with 19 year old Germaine Lindsay at the rear of the first carriage. No sooner had the train entered the tunnel on the short hop to Russell Square, than he pushed the detonator, unleashing a deadly explosion. 27 people were killed, including Lindsay, with 340 injured. This appalling number was the result of the explosion being enclosed in the small tunnel, amplifying the blast. One survivor, Paul Glenister, told how he picked up his injured leg and hopped off the train. He feared that no rescuers could reach the stricken train. Later, police officers carried him from the tracks on a stretcher for surgery at St. Thomas' Hospital. Train driver, Thomas Nairn, ensured that the track current was cut off, then tried to help his injured passengers. Another diver, Raymond Wright, catching a ride to the depot, assisted others to walk along the tracks to Russell Square Station. 19 year old Germaine Lindsay. Germaine Lindsay was born in Jamaica in 1985, but moved with his mother to Huddersfield, West Yorkshire, the following year. It was here that he met Mohammad Sidique Khan. His mother tried several failed relationships, leaving the young Germaine to his own devices. 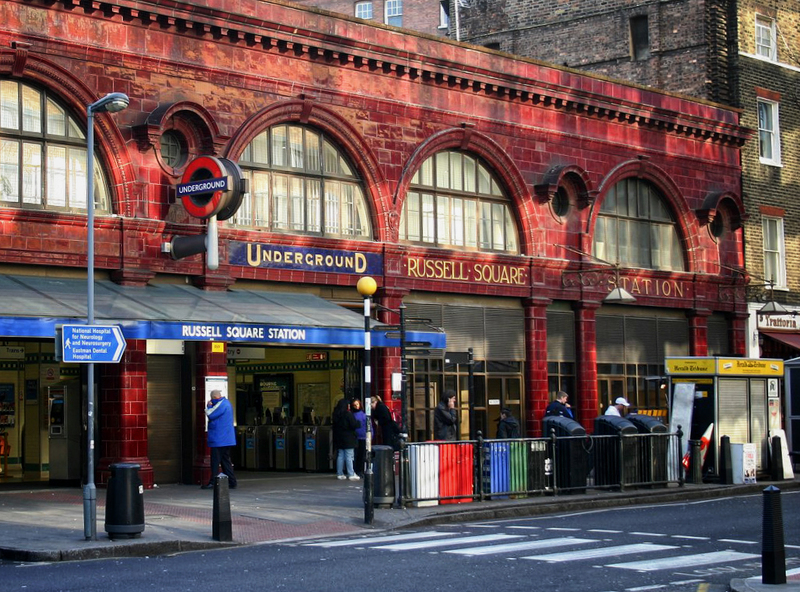 Those who died at Russell Square. In 2000 he converted to Islam, becoming competent in Arabic, and committing chunks of the Koran to memory. His school punished him for distributing al-Qaeda literature. His mother left for the USA in 2002, abandoning her son in the Huddersfield home. 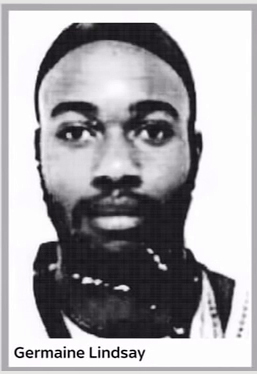 He later moved to Aylesbury, Buckinghamshire, where he lived with his second wife Samantha Lewthwaite, herself being accused of causing the deaths of over 400 people as a member of the Somalia radical so called Islamist group, Al-Shabaab. 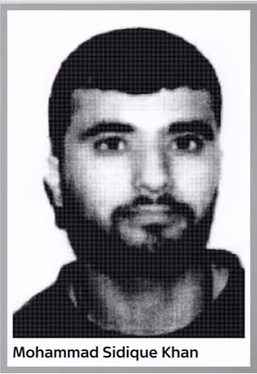 Controversial radical so called Islamist imam, Abdullah el-Faisal, was close to Lindsay. He was convicted of inciting sectarian murders in 2003. People noticed his extreme anti-semitism at the same time as his criminal behaviour raised alarms. He assaulted his wife in 2004 then was involved in an armed robbery in Bedfordshire a fortnight before the bombing. Service 30 bus en route to Hackney ripped apart in Tavistock Square. The final bomb of the day killed 14, including the bomber, and injuring 110 as well as destroying Stagecoach bus 17758 operating service 30 from Marble Arch to Hackney Wick. Because of the other explosions, the bus was on a diversion, but caught in a traffic jam near Upper Woburn Place. It had left Marble Arch at 0900, called at Euston at 0935, where crowds of people from the now suspended Underground tried to travel. At 0947 the bomb went off on the rear upper deck, destroying the bus, ripping off the roof. Staff and visitors attending a conference at the nearby British Medical Association offices rendered first aid, triage, and comforted Priority One (not expected to survive) casualties. The waiting ambulances could not reach the scene because of stationary vehicles blocking the way. 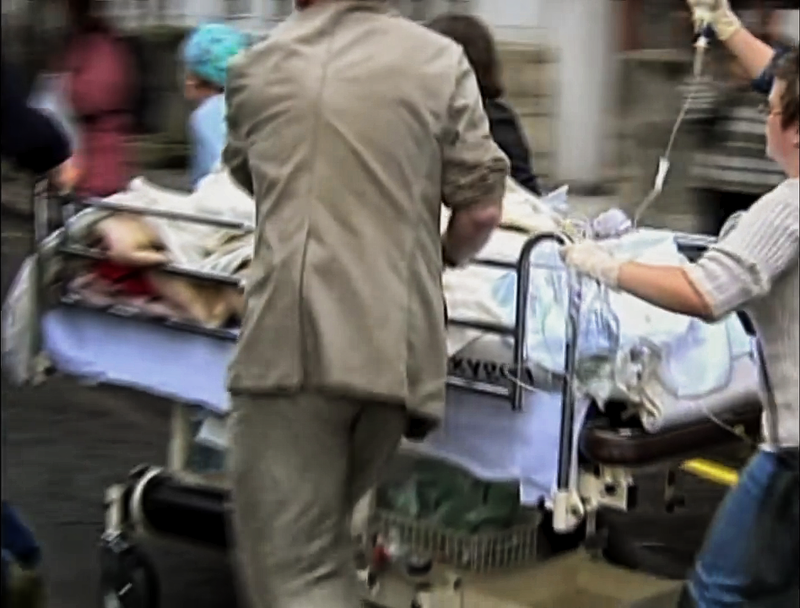 BMA staff and delegates used table tops as stretchers, curtains as bandages, and trolleys from paramedics to move casualties. 18 year old Hasib Hussain. 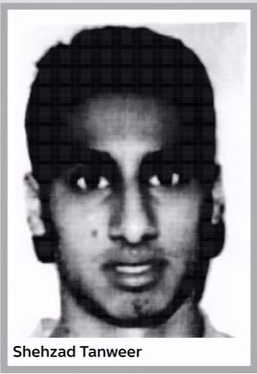 The final bomber, 18 year old Hasib Hussain, intended to travel north on a Northern Line Underground train to detonate his bomb at the same time as the others, but there was disruption on the line so no trains were running. Just after 0855 he left King's Cross Station on foot, then tried to contact the others by phone. He was too late, they were all dead by then. BMA people rush an injured bus passenger to a waiting ambulance. Without a back-up plan, and unsure of the location, he caught a bus to Euston, perhaps thinking he could join the Northern Line Charing Cross branch there. 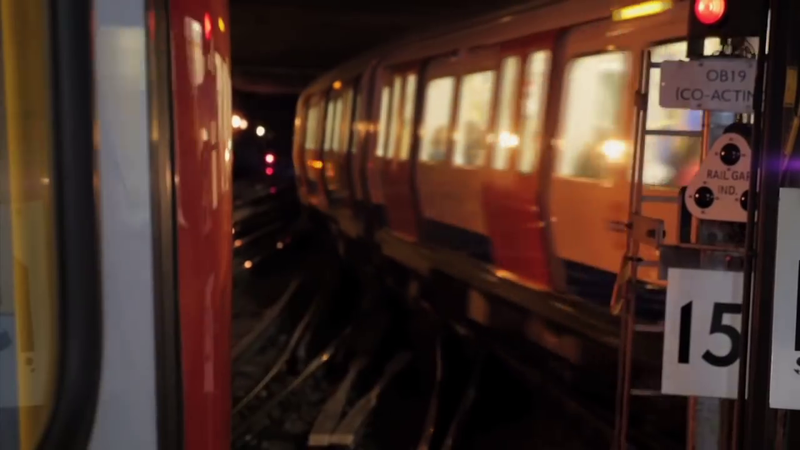 He soon discovered that the whole Underground system had been suspended. Not sure what to do, he boarded the service 30. The bus set off on its diverted route, but became stuck in the chaos caused by the Russell Square bomb, just a few blocks away. As time ticked by it must have seemed that he was about to fail in his mission, so he decided to set off the explosion right there in the traffic jam. Many passengers had left the bus to complete their journeys on foot, the unfortunate ones suffered the blast. Those at the front, including driver, George Psaradakis, being least affected. The bomb also killed and injured people in the street surrounding the bus. Those who died at Tavistock Square. Bomber, Hussain, was from Leeds, being second generation British with Pakistani parents. According to his teachers he was, "a perfectly normal student", with those who knew him describing him as a, "slow, gentle giant". In 2002 he went to Mecca on a traditional pilgrimage, then on to Pakistan to visit relatives. On his return those around him noticed the difference. He was religious to the point of fanaticism, writing "al-Qaeda - No Limits" on his school books. He frequented the same mosque and social circle as Khan and Tanweer. By 2004 he had signed on to Khan's jihadist cause. Although MI5 agents were watching other potential plotters surrounding Khan, they had no idea what he was planning. Hussain rented the flat where the bombers assembled their deadly materials. By this time, he was becoming more delusional, seeing spirits and demon possessions everywhere. Just the sort of personality you want being in charge of dangerous chemicals. Today's trains pass the Aldgate bomb location without issue. The bombs showed us that, despite the death and destruction, life carries on, people are optimistic, and broken pieces can be reassembled. The survivors are living proof that humanity is one. No us and them, the hatred and division must end. Some survivors, facing severe injuries or even amputations, have created new futures with breathtaking determination. Hardly a day goes by without hearing of yet another young person being brainwashed by the supreme hatred that is radical so called Islam. 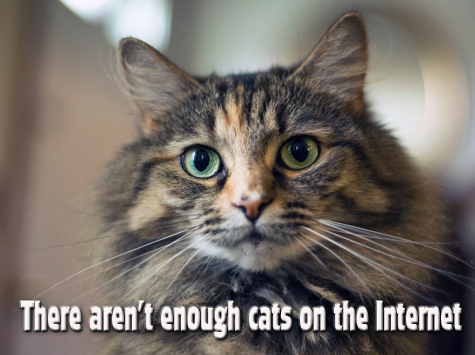 We hear of travel to Syria or other melting pots of terrorism. In December 2015 Mohammed Rehman and Sana Ahmed Khan were handed life sentences for plotting tenth anniversary bombings. They possessed over 10kg of explosives before being arrested. In July 2011 police revealed that reporters from the News of the World newspaper had hacked survivors' and victims' families' phones shortly after the bombings. What was the purpose? The bombings have achieved zero gain for any cause. No laws were changed, there was no glorious victory for radical so called Islam; it was pointless mass murder. On the 7th July, 2005, we saw not only the worst of humanity but also the best in those who, some without any training, dropped everything to help others. 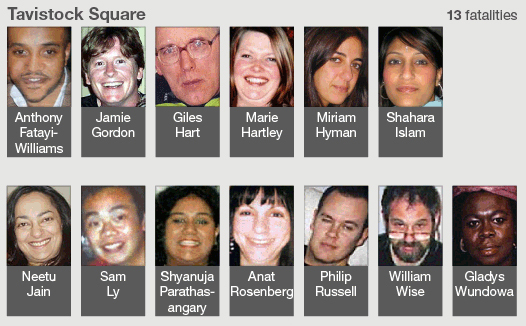 BBC News, http://www.bbc.co.uk/news/uk-33253598 "7 July London bombings: What happened that day?" - Lucy Rodgers, Salim Qurashi, Steven Connor. 3rd July, 2015. 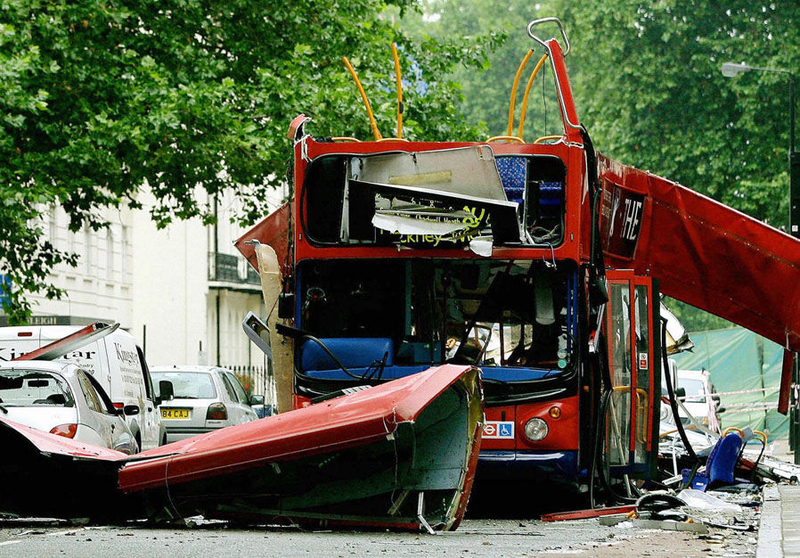 The Independent, "7/7 bombings timeline: How the day unfolded" - Press Association. 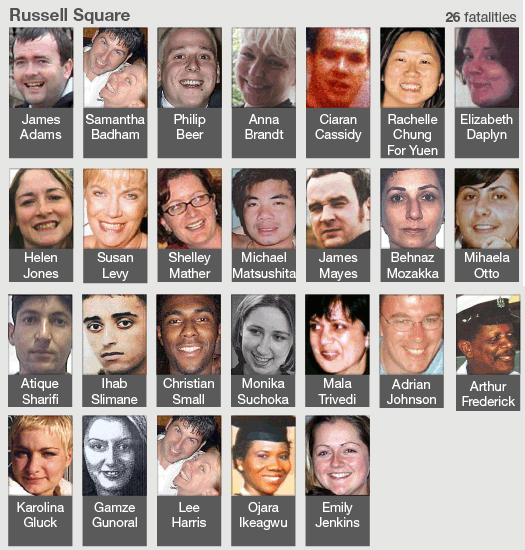 6th July, 2015..
 Wikipaedia UK https://en.wikipedia.org/wiki/7_July_2005_London_bombings last accessed 3rd July, 2017. The Daily Telegraph, "Suicide bombers flew to Pakistan together" - Peter Foster and Nasir Malick. 19th July, 2005. The Yorkshire Evening Post "'Slow, gentle giant' who blew up the No 30 bus and killed 13 others" - Ian Rosser. 20th July, 2005.